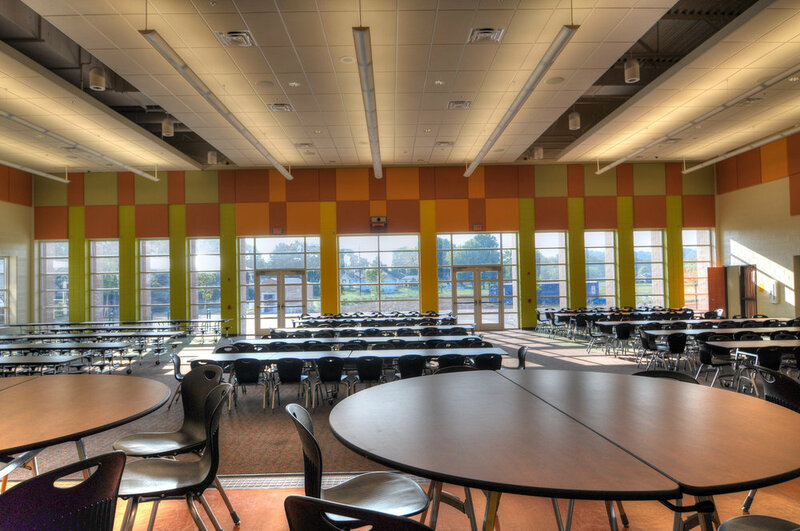 Located on a constricted urban site, this building designed to serve 1200 students in grades PK through 8, has a compact 2-story footprint. 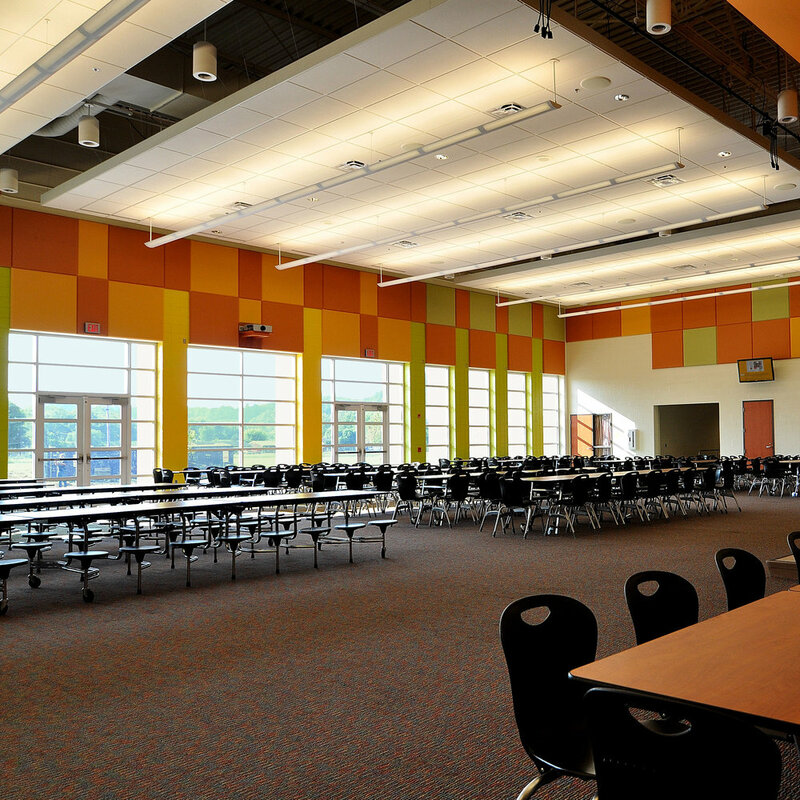 Elementary and middle school classrooms are located on both floors, connected on one end by administration and media center and on the other end by gymnasiums, music rooms and student dining. 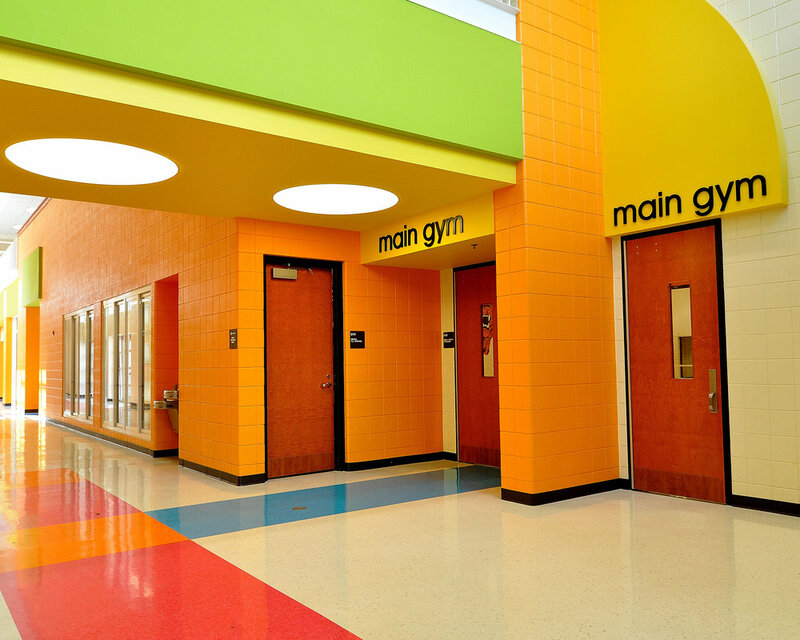 Splashes of bold color and shapes against a neutral background are used for wayfinding and to help create an identity at each grade level. 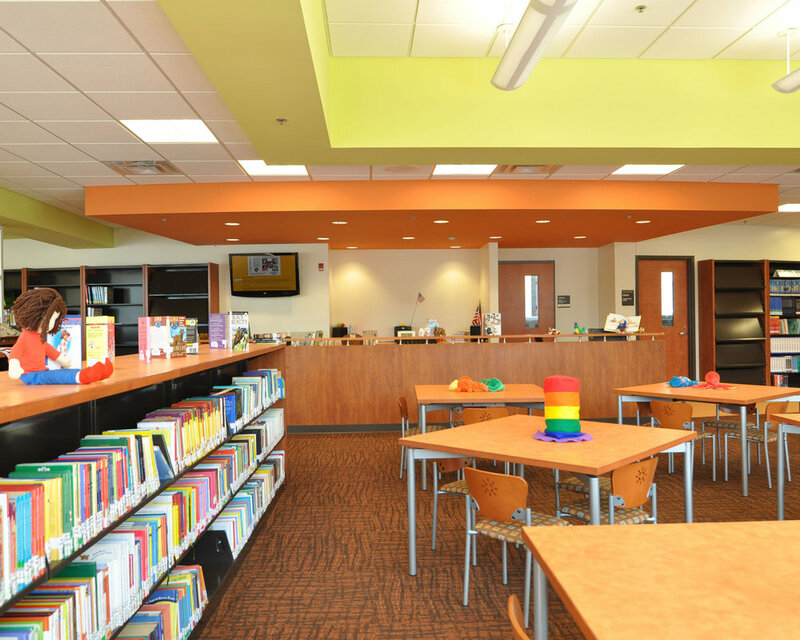 Warmer colors like yellow and orange identify primary grades, and cooler colors like blues and greens are used in the upper grades.